Here is our second installment in our Habitat Restoration Series for Spring. These shrubs grow best in rich, moist, neutral soils that have good drainage. I have mine planted on a very shallow slope just above a very mucky spot and they do tremendously well. Sunlight should be from full sun to partial shade (they are often found along the woodland edge in the wild). They will shoot up new canes each year and are subject to spreading so you can choose a spot where they can spread at will or control them through pruning back older woody canes or mowing. It generally takes from 3 to 5 years for fruits to develop after planting young canes. Flowers develop in June so are not usually subject to fruit loss due to frost. Fruits begin to ripen in late Summer and persist well into October. This area native has many, many benefits. It is rich in vitamin C and potassium and has many medicinal qualities, especially in terms of the immune system. Homeopathically (like treats like) Elderberry is considered to be good for the areas of the body that are “tubular” or “hollow” – blood, respiratory, nerves – based on the plant’s hollow stems. Both flowers and fruits can be used. Be advised that raw Elderberries can have a strong cathartic effect so we advise that the fruits be heated for 5 minutes to neutralize those characteristics (generally small amounts may be eaten raw – just be prudent). Wildlife thrives on the berries and these shrubs can produce more than enough for sharing. You can have your pie, wine, jam and medicinals while leaving enough for birds and deer to “fatten up” on for Winter. 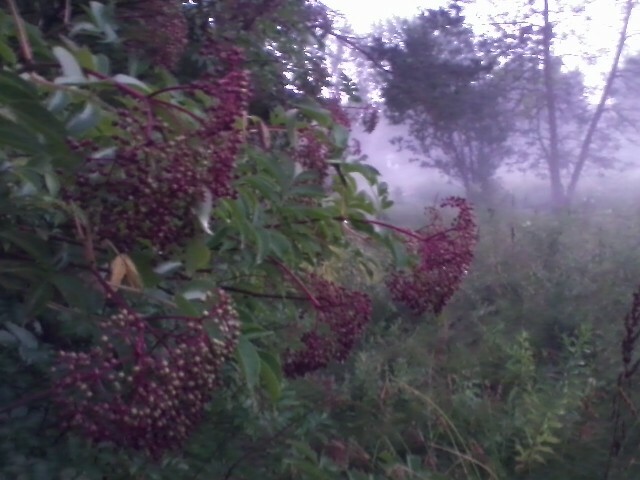 Sources for Elderberry, other than local nurseries, can be found on our webpage. 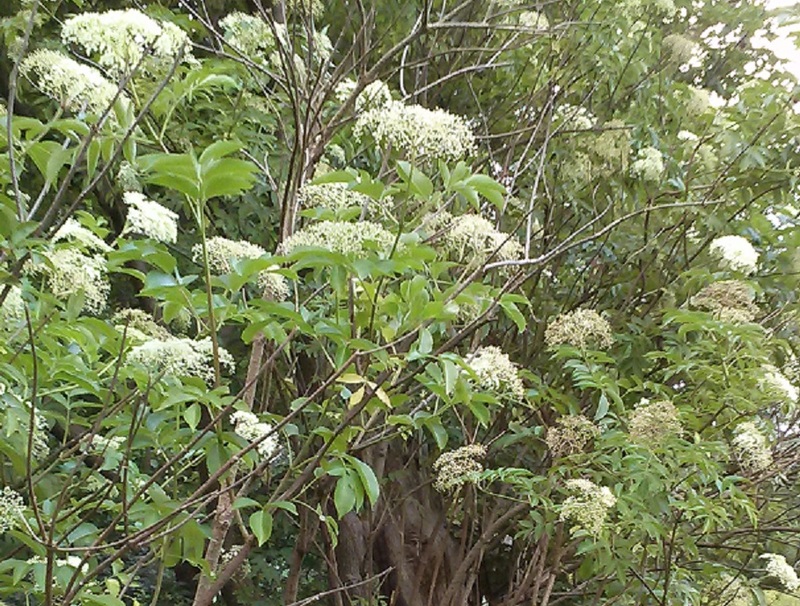 Be sure you choose the Sambucus canadensis varietal as this is the true native in Eastern North America. Did you miss Submission #1? Have no fear, you can read all about Winterberry HERE! As Spring deepens, thoughts naturally turn to outdoor activities, and for many of us that means gardening. Regardless of the available space (from acres to pots on the front stoop), nearly everyone can help provide wildlife habitat. We’ll help you along the way with some plant species suggestions over the next couple of weeks, beginning with our first entry below. If you are interested in learning more about providing wildlife habitat, come to our lunch-time talk, Creating Wildlife Habitat, at Erie Community College South Campus on April 23rd when we’ll share lots of way to help our wild friends who face diminishing habitat on a daily basis. Winterberry (Ilex verticillata): You might recognize from the Latin that this is a Holly. But unlike its evergreen cousins, Winterberry is a deciduous holly. And although it loses its leaves in Autumn, behind are left bright red berries that remain into early Winter, hence its name. Winterberry is also dioecious (male and female reproductive organs on separate plants) so be sure you get at least one male and a few females to surround him. This will help ensure an abundance of berries to brighten the early Winter landscape. And what a boon to wildlife in the Winter as the berries are eaten by small mammals, many birds (both song and game) and White-tailed Deer. Known also as Fever Bush and Black Alder, Winterberry was used by Indigenous Americans to treat not only fever, but the bark served in healing bruises and minor wounds. Native to the eastern United States and southeast Canada, Winterberry is challenged as we continually drain and/or develop wetlands. So if you’ve a wet or very moist spot, you can add some Winterberry and watch it spread over the area after a few seasons. It can also be put in drier areas but instead of spreading, it will grow in more of a clump. It prefers acidic soils with light requirements ranging from partial shade to full sun. Sources for Winterberry, other than local nurseries, can be found on our website at: http://oakmossed.com/garden.php. Thursday at the historic Roycroft Campus! Former holiday trees continue on for future generations. If you celebrate the holiday season with a conifer tree, consider using a live tree instead of a fresh-cut or artificial. While they should only remain indoors for a short period of time (no more than 10 days, watered sparingly), using a living tree is the most environmentally friendly method when employing them in holiday decor. Once the ground is workable in Spring, the tree should be planted in a suitable location for its future growth. 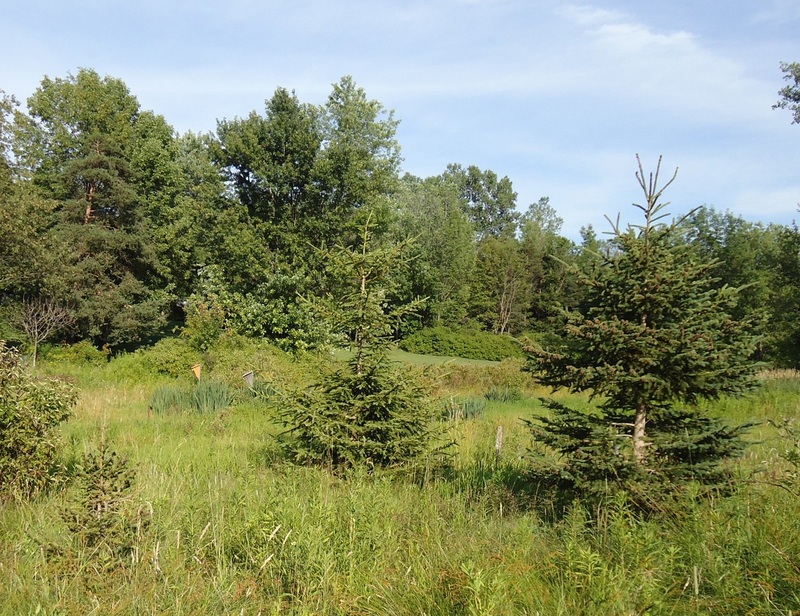 No room to plant a tree on your property? Then donate it to a school, park, neighbor or friend. 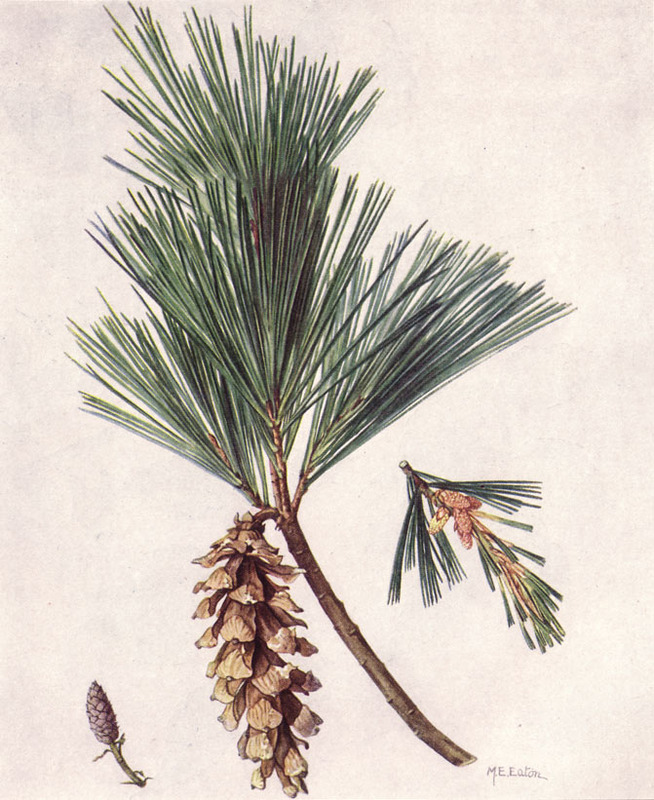 We’ve planted many holiday trees over the years. One is now nearly 30 feet tall and a focal fixture in the landscape of a former home, providing much-needed shade in Summer and an energy-saving wind break in Winter. A real sense of accomplishment and joy surges through me whenever I drive past that house. The photo above shows some of the holiday Spruces from the last dozen years that were all just a mere 3 feet tall when planted. These have provided nests for several generations of American Robins along with important weather and predation protection for many critters. Go “live” this holiday season and consider employing such “seventh generation” concepts in your celebrations. The warm feeling it generates certainly will add to the festive nature of early Winter. Looking forward to presenting this program next weekend!